Letters: why are we paying so much attention to vegans? Sir: As a lifelong vegetarian I am heartily sick of vegans and of the amount of attention that is being paid to them. (‘The great carniwars’, 26 January). Vegan food is everywhere, in places where it used to be difficult to find vegetarian dishes. Often it tastes of nothing much and has the consistency and flavour of sawdust. Their principles of not harming animals seem to me to be a little warped. I accepted long ago that animals have to die to provide meat for people and pets. Vegans would do well to campaign, if campaign they must, against factory farming and cruel methods of slaughter. Issuing death threats for farmers seems a little extreme. Why should the life of an animal have more importance than that of a human? When my husband was alive, I tried to give him the best meat, from animals which had been reared locally. I buy locally produced organic milk. But no way would I give up dairy products, eggs and honey. So could we have a little less hysteria and a little less attention paid to these fools? Sir: I carry out to the letter what Jenny McCartney advocates at the end of her piece; rearing cattle on organic grassland, untouched by artificial fertiliser or pesticides. The result is that antibiotics are rarely needed. But there is one thing an organic farmer cherishes as much as his animals, and that is the soil which is so vital to all life. It would be near impossible on my thin topsoil, above chalk, to grow anything without the use of animal manure. At this time of the year my cattle have the choice of picking what grass remains in their field or coming in to lie in the barn, on straw freshly laid over their manure, which will make fertiliser for next year. One question occurs to me: how do vegans feel about horse manure being used to grow their vegetables? Horses, like cattle, usually get shot eventually though they tend to be treated as cherished pets and live long lives. I challenge vegans with the options when it comes to growing vegetables or cereal crops commercially. Sir: I enjoy reading articles by Charles Moore and would not wish his output to be interrupted by his having failed to get an early diagnosis should he be unlucky enough to develop cancer of the bowel (The Spectator’s Notes, 26 January). I urge him to take up the bowel screening offered by the state and even seek endoscopy or a CT bowel scan should the screening be negative, for the latter does not entirely remove the risk. Caught early, the disease is curable. Mostly Mr Moore offers much common sense, but his approach to screening has none. Sir: Mary Wakefield (‘Is cannabis driving us crazy?’, 26 January) is so right. There are thousands of people all over the country, mainly young males, sitting around doing very little, having fried their brains with early and sustained cannabis use. Most are incapable of work, and have no future as we usually understand the term. of cannabis use, and clearly leaning towards legalisation. She put it down to a cover-up. Many senior professionals, including her psychiatric colleagues, had dabbled in their youths with the low-strength weed then in circulation, and they may have genuinely believed cannabis to be harmless. More importantly, notwithstanding the medical evidence, their first instinct was to prevent their children being criminalised. Sir: What is interesting to note, though not mentioned in your lead article on Dyson’s dust up with Brexiteers and Remainers (‘The Brexit vacuum’, 26 January), is that Singapore has had a comprehensive free-trade deal with the EU since 2014. This includes tariff-free access on virtually all goods — something the UK may not have in the near to medium-term future. Nice one, Sir James. Sir: In Fraser Nelson’s interview, the Archbishop of Canterbury has much to say about business, economics, and ecclesiastical politics, yet absolutely nothing to say about the world to come (‘Justin Welby’s Reformation’, 26 January). If this is the real archbishop, is it any wonder that the decline in Church of England attendance is ‘flattening’ at ‘barely 1 per cent of England’s population’? Sir: I should like to thank The Spectator for its decisive part in securing justice and in clearing the good name of George Bell, the late Bishop of Chichester, wrongly condemned as a child abuser by his own church and by several media organs which should have known better. The presumption of innocence has been vindicated and reinforced, and a rare example of self-sacrificing goodness upheld. 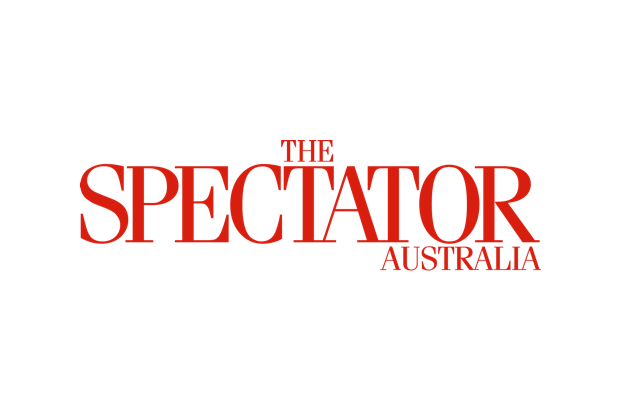 I believe the publication of my article on the subject in The Spectator was a turning point in the campaign.